When admitted into a long-term or assisted care facility, it is important that nursing home residents be protected. However, within a nursing home there are burn hazards such as smoking accidents that pose a real danger. A lack of protection by the nursing home staff and administration or carelessness of others has cost many nursing home residents their life. Perhaps the worst part about these deaths is that these burn accidents are easily preventable. If your loved one sustained a burn or injury while smoking during a nursing home admission, contact the Nursing Home Law Center LLC for a free review of your legal rights and options. Those in a nursing home are at a greater risk for burns or fire incidents. The majority of patients in a nursing home have health and/or mobility issues, meaning that an attempted evacuation of a nursing home facility could be extremely problematic and thus dangerous. According to the U.S. Accountability Office, the estimate of nursing homes that had structural fires between 1994 and 1999 stands at 2,300. In 2003, there were 31 fire related deaths in Nashville, Tennessee and Hartford, Connecticut in two different nursing home fires. While these homes were not required by the Centers for Medicare & Medicaid Services to have a sprinkler installation set up, despite the fact that previous studies have shown that these sprinkler systems are extremely effective when reducing the number of fatalities during a fire. It is important that these nursing homes are held accountable when it comes to fire prevention. Flammable medical hazards – Many patients in a nursing home require pressurized oxygen, this puts these facilities at a higher risk for large fires. These facilities are also full of electrical equipment and flammable gases that may start or escalate a fire. Candles – Burning candles without supervision is a potential fire risk. Elderly patients may drift off because of their medication or because they are simply exhausted. If this happens while a candle burns, it may lead to problems. Smoking accidents – If a facility allows its residents to smoke indoors it does not merely increase the risk of fires, it also leads to secondhand smoke exposure. The U.S. Fire Administration suggests that the number one cause of fire fatalities amongst the elderly is smoking. 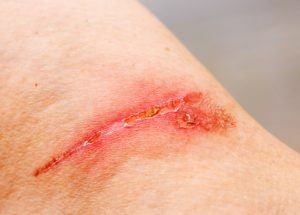 When it comes to burns and fire injuries, elderly are at a far greater risk. Some of the important factors to consider here are a decrease in mobility, hearing, and diminished eyesight. These contribute to a delayed response and could end up costing residents their lives. Many of the assisted living facilities and nursing homes still allow its residents to smoke indoors. While there are many state and local bans or restrictions on smoking in public places, the regulation is not federally mandated. Nursing homes are putting patients at greater risk for health issues and fire safety problems. Even if the nursing home has regulations in place, it is important to enforce these regulations, otherwise a nursing home may be liable for any injury of death that occurs. Burns remain one of the most painful and debilitating type injuries. When burns are caused by the carelessness of others, a nursing home patient is entitled to recover compensation from the facility where the burn occurred. Our law firm has fully prosecuted nursing home burn cases on behalf of individuals and families. If your loved one was the victim of a burn injury we would honor the opportunity to discuss the situation and your legal options. We will give you our assesment of the situation without any cost or obligation. Nursing Home Law Center LLC (800) 926-7565. Smoking Accident At Chicago Nursing Home According to reports from CBS Chicago, nursing home neglect might have played an important part in the tragic death of 62-year old Lawrence Lewis.